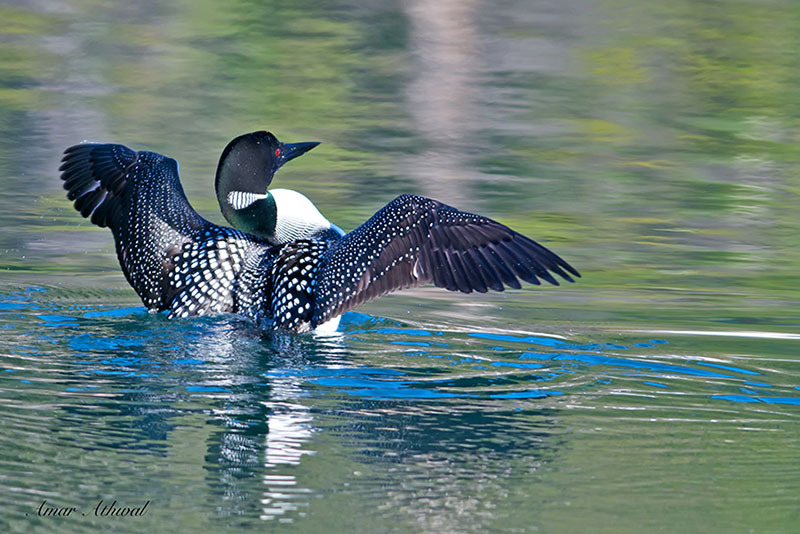 In the mornings light, Canada national bird, the Common Loon stretching its wings. One of the joy in the wilderness is hearing their sound, particularly in the morning when human related sounds are not present. Before this picture I heard the calls.